INTACH (Indian National Trust for Art and Cultural Heritage) and SANDRP (South Asian Network of Dams, Rivers and People) organized “A Dialogue on the Urban Rivers of Maharashtra” on 20-21 April 2018 from 9:00am-5:30pm at Yashada, Pune. In the last year, we have developed good rapport with organisations and citizen science groups working on water related issues. Thematic workshops and awareness sessions were conducted with some of them. We have started discussing about 'Wiki Meets/Takes River' Campaign with these networks. INTACH and SANDRP are two potential groups which work on rivers across India with commitment. We have opportunity to collaborate in other states also. We gave inputs on 'Exploring Wikimedia platforms for spreading knowledge about Water, Dams & Rivers'. The river dialogue was very meaningful and action oriented. Last month, we were able to launch process to build knowledge repository called - Van Bodh - related to biodiversity, forest and tribals with Tribal Research & Training Institute & other thematic groups. Through this dialogue, various thematic groups & Govt organisations formed consensus on evolving - Jal Bodh - a knowledge repository on Water related issues. 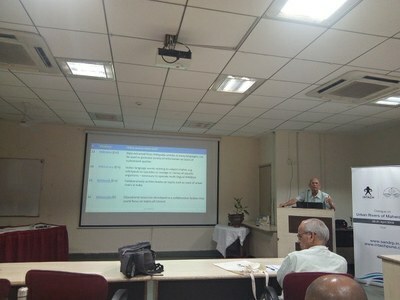 Prof Madhav Gadgil and myself prepared a concept note for further discussions and process development. Yashada will be nodal agency to execute the project.